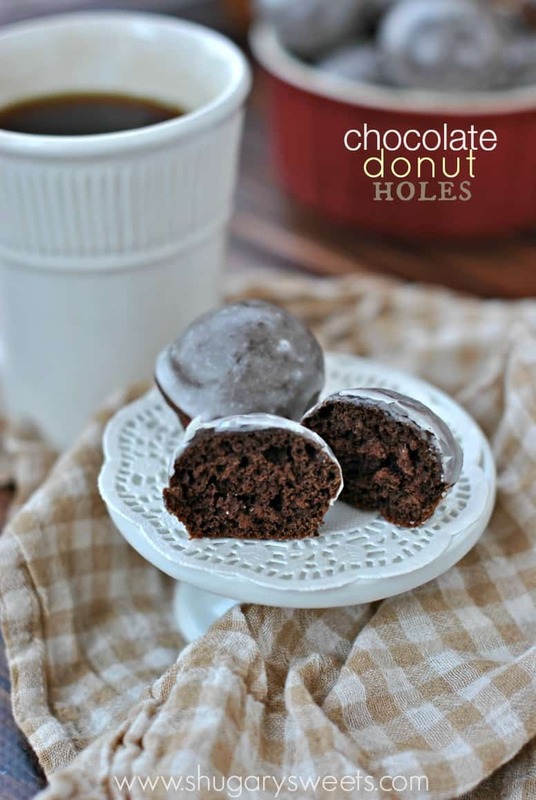 These baked Chocolate Glazed Donut Holes can be on your table in under 30 minutes! They will only take 5 minutes to eat the entire batch. Just sayin! Chocolate Glazed Donut Holes have been on my mind for ages. 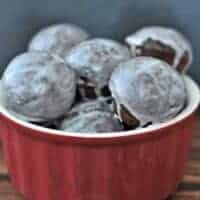 My kids love when I make these baked chocolate donuts, and I’ve been wanting to make a mini version ever since. 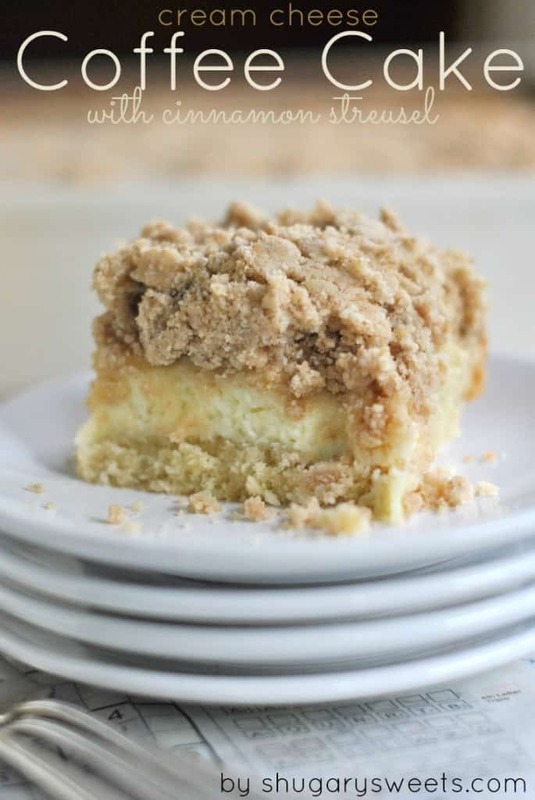 But then cheesecake bars, taco chili, boston cream donuts, and much more got in the way. Remember a couple weeks ago I shared this recipe for Jelly Filled Donut Holes? I mentioned that I made FIVE different varieties? Well, I couldn’t wait any longer to share this chocolate glazed version with you. Because you bake these in your oven, there is no greasy oil mess and there is no waiting. Whip up a batch in your mixer, bake for 8 minutes. While they are cooling whisk together your glaze, and dunk your donut holes. 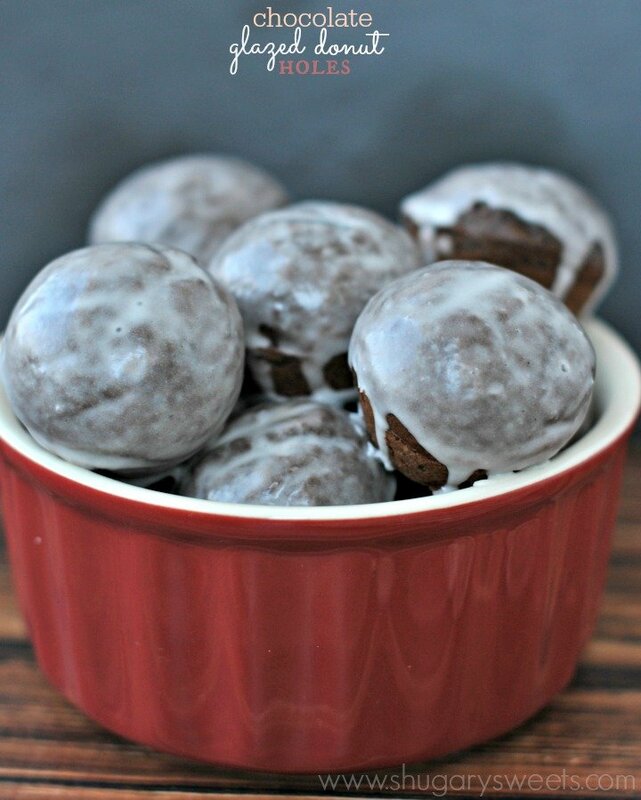 Seriously in under thirty minutes, you can have a batch of Chocolate Glazed Donut Holes for breakfast. Don’t wait 2 1/2 years to make these. You’ll regret it. This recipe made 36 donut holes for me (I think) because we were eating them as they were cooling (before glazing). I had to keep asking my kids how many have you eaten!! Ha! Okay fine, I ate quite a few too. Have I mentioned yet how great they are with a quiet house, a cup of coffee and good book?!? Speaking of books…summer is almost here and I need some great book recommendations! It’s going to be a crazy summer here (stay tuned for my big announcement), but I know I’ll procrastinate on work and cleaning to sit on the deck with a good book. So if there’s one that you have absolutely loved, leave me the name in the comments! I pretty much love all kinds of books. Except Stephen King. I just can’t get into his works. Sorry. Anyways, enjoy some donut holes. Leave me some book recommendations, and get outside and enjoy the weather! Unless it’s raining. Or cold. Then grab a blanket, cup of coffee and a donut hole. For the donuts, mix flour, sugar, cocoa powder, baking powder, baking soda and salt in a large bowl. Add in eggs, milk, vanilla and butter. Beat for 2-3 minutes. Spray mini muffin pan with baking spray. Fill each muffin cup about 1/2 full and bake in a 325 degree oven for about 7-9 minutes. Remove and cool in pan about 10 minutes, then cool completely on wire rack. For the glaze, whisk together the powdered sugar and milk until smooth. Dip each donut hole top into the glaze and place on parchment paper. Repeat until all donut holes are dipped. Glaze will run down the sides, so there is no need to dip entire thing (unless you want to of course). Allow to set, about 10 minutes. ENJOY. Donuts are best eaten fresh. The glaze will get translucent (and sticky) if placed in airtight container. 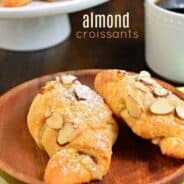 I love breakfast pastries. Here are some of my favorites…. 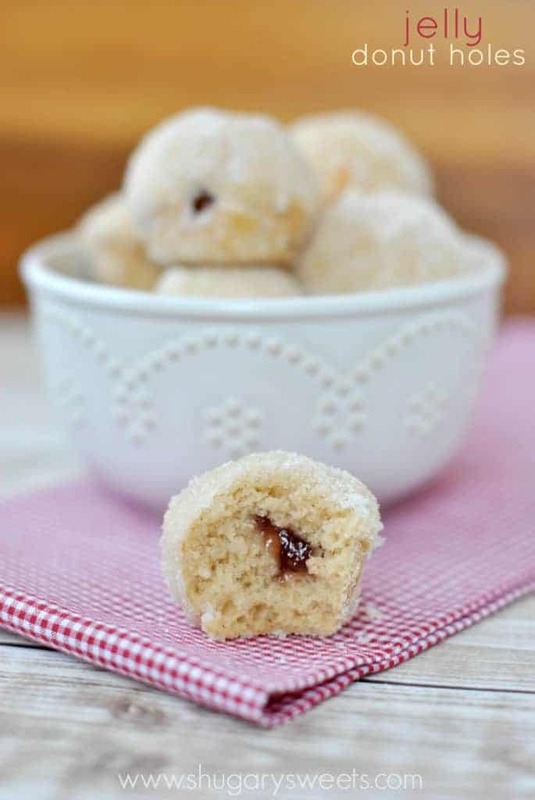 Jelly Filled Donut Holes, use your favorite jam or preserve in these sweet bites! 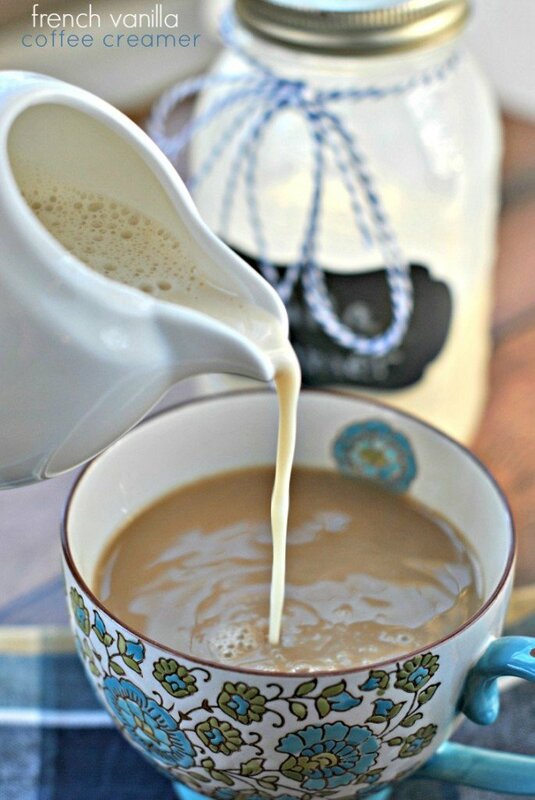 No breakfast is complete in my house until a steaming hot coffee is served…with my favorite homemade French Vanilla creamer! 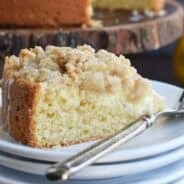 Follow Shugary Sweets’s board Breakfast Table Goodies on Pinterest. YES! I LOVE chocolate glazed donut holes (who doesn’t?) And these are baked…which means that I can eat them all…right? Nothing sounds better than a good book and a donut hole! 🙂 Have you read The Husband’s Secret, Reconstructing Amelia or Sycamore Row? This is exactly what my morning needs! Love these donut holes! I need about a dozen of these please! Not a hole to be left in the house 🙂 They went quick!! Whaaat?? This is almost less time than it takes me to order coffee and doughnut holes at my closest coffee place in the morning (apparently people will wait a LONG time to get their coffee fix in the morning). This looks SO good! 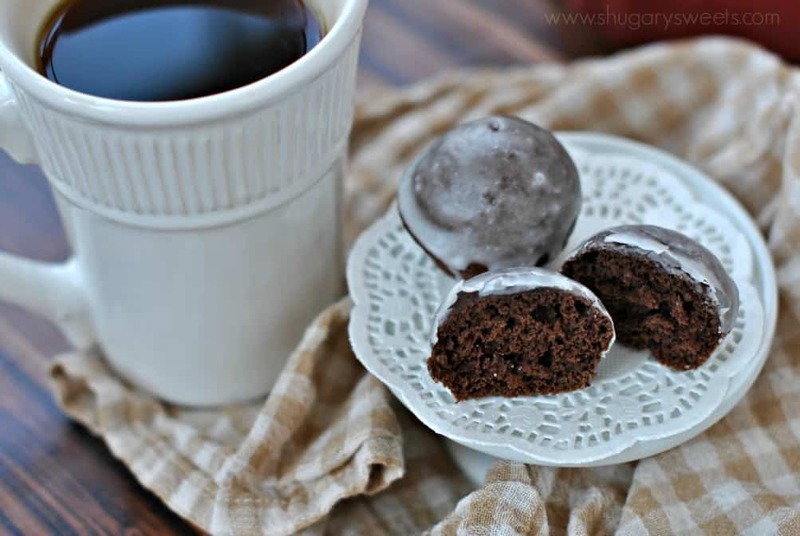 Chocolate Glazed Doughnut Holes is my soft spot! Love these! Oh my lanta – this is my weakness, right here! I also bake such donuts but I make them with vanilla and apricot. I don`t know why but I don`t like chocolate flavor in this recipe, while fruity tastes is really great. Oooh, love that you make it with apricot. I bet I would LOVE that!! Haha, you crack me up!! Outlander series. I haven’t read much lately until i stumbled on this series. Romance, hisyoric Irelans, time travel and great writing. It’s coming to Starz network this summer. Watch it, if you don’t want to read it. I was just thinking about how to use my mini muffin pan for something other than muffins. I think this fits the bill perfectly!! I was fine with my oatmeal for breakfast until I saw these…I’ve got to stop doing this while I eat! Glazed chocolate donuts have always been a favorite, so these are getting pinned! I made these, but the batter was still raw after cooking for 9 minutes. Hmm, I would check your oven with an oven thermometer, and double check your recipe/ingredients! Can I leave out the cocoa powder? Ummm, they wouldn’t be chocolate donut holes then?!? mine were ok. came out more dry and very unsweetened. the glaze had a plastic taste to it… we’ll see what the husband and kiddos think, come morning. Just pulled these chocolate donut holes out of the oven. Had batter leftover so I grabbed my silicone mini heart shaped muffin pan and it filled it perfectly. Baked those along side. Was wanting a glaze rather than the Powdered sugar so went looking further and “tada” there was the recipe for the glaze! LOL. It’s 10 pm here on a very RAINY Thursday night in NorCal and I can’t wait for these to cool so I can dip! Thank you for sharing! 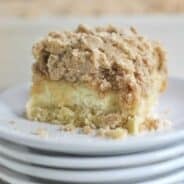 I’m also thinking of filling some with Bavarian cream!